Dr. Andrew T. Jaffe, founder of Riverchase Dermatology and Cosmetic Surgery, is pleased to announce that Kimberly Royal, Director of Marketing and Development, has been selected to receive Gulfshore Business Magazine’s prestigious “40 Under 40” award. Royal is one of 40 recipients to earn the distinction in 2013. Every year since 2003, Gulfshore Business recognizes 40 professionals under the age of 40 who have distinguished themselves in both their professional lives and in service to the community. “I am honored to receive this award and proud to be recognized alongside other accomplished, young business professionals in the Southwest Florida community,” says Kimberly Royal. Kimberly Royal joined the team at Riverchase Dermatology and Cosmetic Surgery in June 2010 and has been instrumental in establishing successful strategies for progress and expansion for the practice’s multiple locations across Collier, Lee and Charlotte counties. During her career, Kimberly has overseen the marketing and development of four new locations and more than several additions to the professional medical staff. 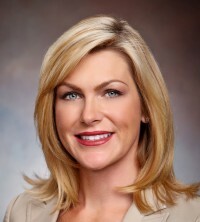 As a distinguished representative of Riverchase Dermatology and Cosmetic Surgery, Royal serves on the Greater Fort Myers Chamber of Commerce Board of Directors, Co-Chair elect of the Women In Business Committee, and is an active member of Florida Public Relations Association and Health Management Association of Lee County. During her free time she regularly volunteers at charitable organizations such as United Way and sits on the Board of Directors for Special Equestrians. On Friday, September 20, 2013, the community will come together to celebrate the accomplishments of Royal and all of the other “40 Under 40” recipients at the Gulfshore Business 11th Annual 40 Under 40 Cocktail Party and Awards Celebration at the Sidney & Berne Art Center.